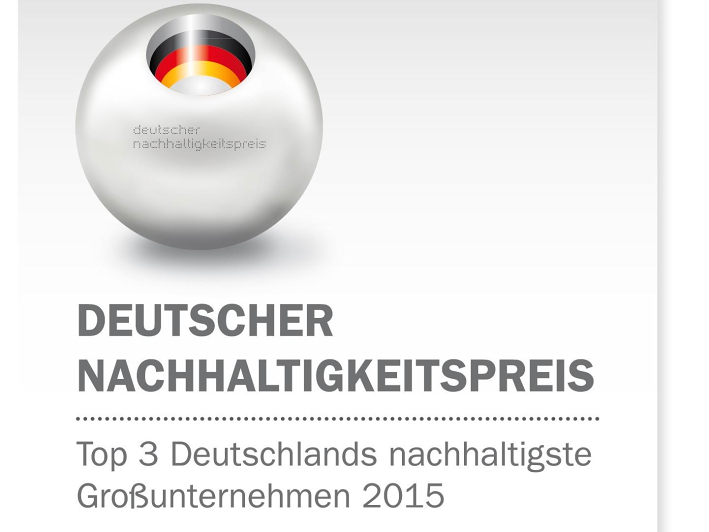 Grohe AG has once again secured a top ranking in the German Sustainability Award, which was presented in Düsseldorf on November 27. According to the judges, its exemplary progress achieved in terms of sustainability has earned the world-leading supplier of sanitary fittings a top 3 ranking in the category “Germany’s Most Sustainable Major Companies of 2015”. 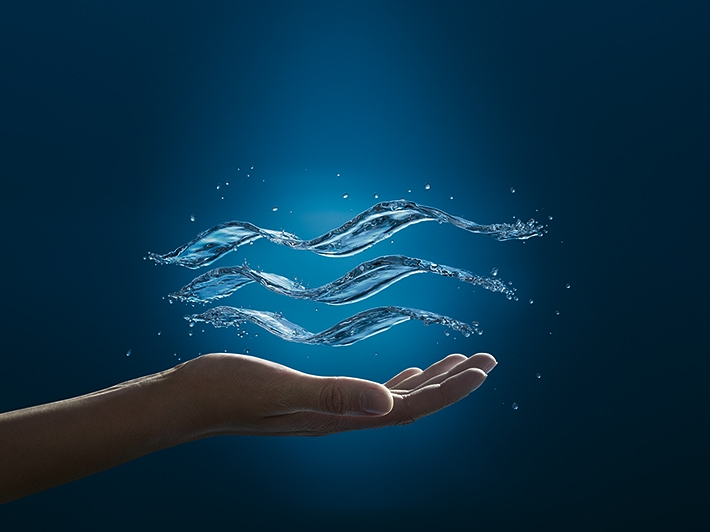 GROHE is distinguished by, among other things, its key technologies, which enable millions of people to use water and sanitary products in a sustainable way. These include electronically operated faucets that save water and energy, the GROHE Blue® kitchen system, which reduces a household’s carbon footprint and waste volume, as well as a wide range of products incorporating GROHE EcoJoy® technology, which allows water consumption to be cut by up to 50 percent. At the same time the company continues to push ahead with the optimisation of its internal value chain in accordance with the principles of sustainability while also translating the opportunities created by its sustainability efforts into economic success and competitive differentiation. For instance, GROHE has substantially lowered its carbon emissions through heat recuperation and boosted its brass recycling rate to 80 percent. The company has set up a SustainAbility Council to advise on company-wide sustainability management. In 2011 GROHE instituted the GROHE SustainAbility Trophy to reward employee suggestions for sustainability improvements. This year the company published its first sustainability report in accordance with GRI guidelines and was the first manufacturer in the sanitary industry to issue a declaration of conformity with the German Sustainability Code. 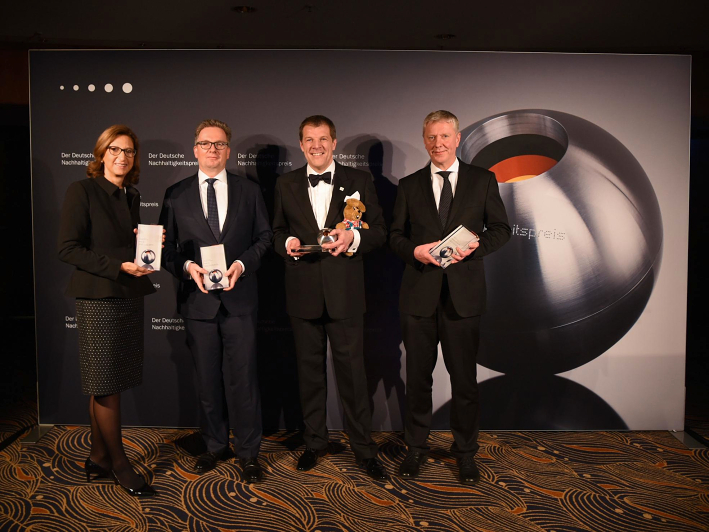 The award ceremony at the Düsseldorf Maritim Hotel was attended by some 1,200 invited guests representing companies, local authorities, political institutions, academia and civil society. Germany’s greenest award ceremony was compèred by science journalist and broadcaster Stefan Schulze-Hausmann, the initiator of the award. He was ably assisted by Martin Schulz, President of the European Parliament, Dr. Barbara Hendricks, Federal Minister for the Environment, and other high profile figures who handed out the awards to the representatives of Germany’s most sustainable companies, local authorities and research centres. One of this year’s honorary awards went to Queen Silvia of Sweden who, in her capacity as patron of more than 60 organisations, has a long-standing involvement with the challenges of sustainable development. An initiative of the German Sustainability Award Foundation, the German Sustainability Award is endorsed by the Federal Government, umbrella organisations of local governments, confederations of business and industry, civil society organisations and research institutions. The awards were presented for the eighth time this year. In case of image publication, please quote the following source: Frank Fendler. Publication of properly credited photos is free of charge. Voucher copies are requested. Photos must not be used for advertising purposes.